Marmari is 15 kilometers west of Kos Island town (at the northern coast of the island) and 4 kilometers north of the village Pyli. 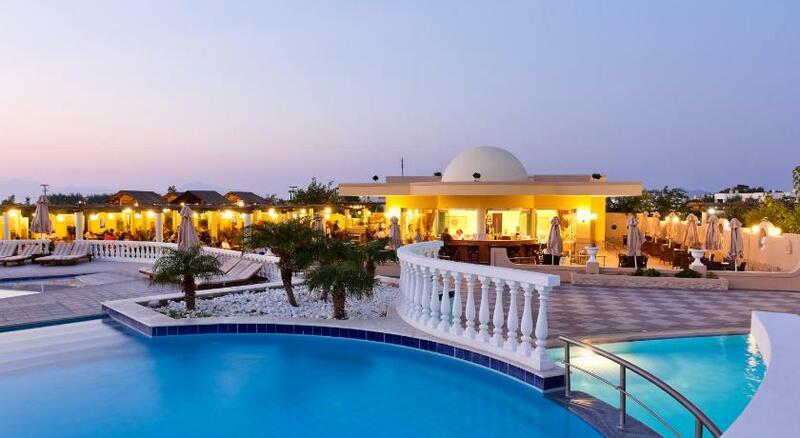 Its long and sandy beach is very popular and attracts many visitors due to its short distance from Kos town, its beautiful environment and the fact that it is well organized with umbrellas, sun beds and water sports facilities. Of course a lot of swimming, sunbathing and sand games also take place. The several traditional taverns and cafes offer snacks and cool refreshments but you can also find places that offer a full meal. There are a lot of hotel units in the area which makes accommodation options very convenient. Medical services and a Police Station are available in Pyli (4 kilometers south of the beach). Access to Marmari is very easy (15 kilometers) by bus, which runs frequently, by taxi, by car and motorbike. If you have a yacht, you may reach the Marmari beach by sea and use the little port for trips to the beautiful islands nearby.